Your grandma's yarn is coming back in style — in a BIG way. Home decor featuring the fluffy material is popping up everywhere and for good reason, too. If you're trying to unravel the mystery and figure out why yarn accents are one of the hottest (and fuzziest!) new trends, look no further than these 17 finds and DIYs that add modern style, subtle texture, and a cozy softness to your space. 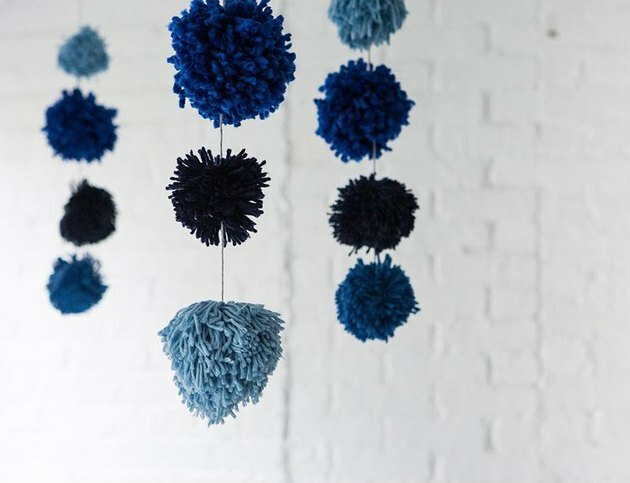 Bring a playful vibe to any space with a yarn tassel garland. Hang it above the desk in your home office for a fun pick-me-up while you work, incorporate it into your swanky black and white gallery wall, or bring it out the next time you have a party. 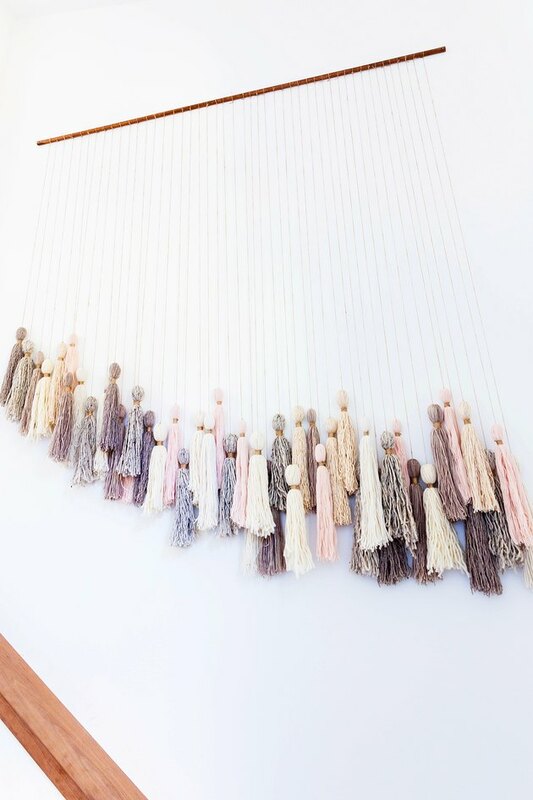 If you adore the look of yarn tassels, but garlands not so much, then you're going to love this DIY tassel wall hanging. Erica from the lifestyle blog Honestly WTF designed this pastel-hued beauty to fill an empty wall running along her staircase, and the result is simply stunning. 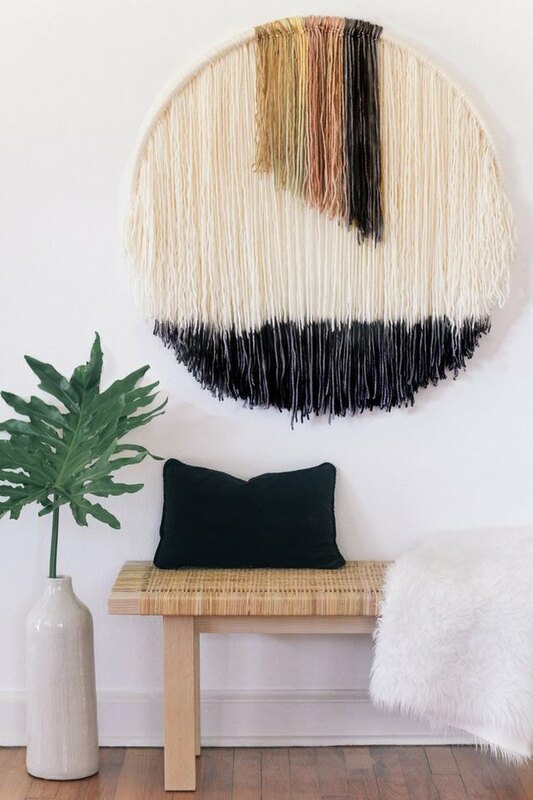 Or, you can opt for a wall hanging without tassels. 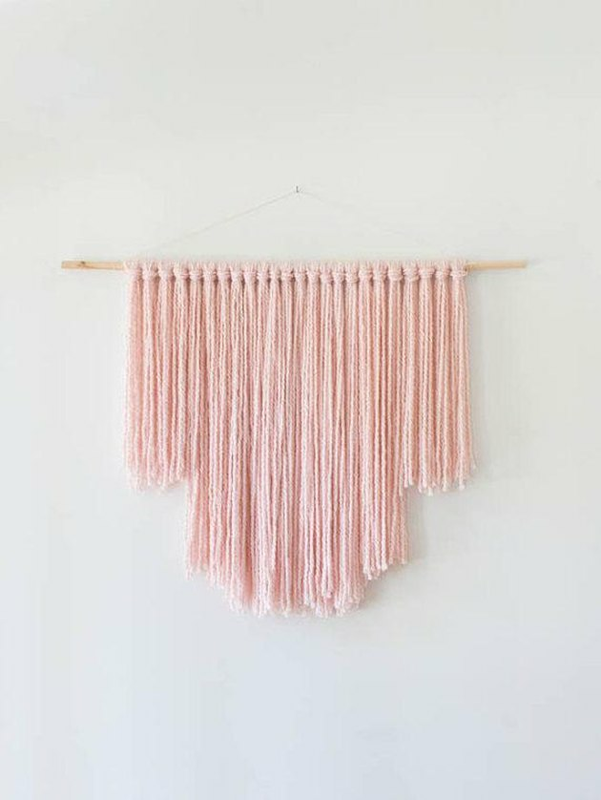 This soft, dreamy pink option will look great suspended from any wall in your boho-chic digs. 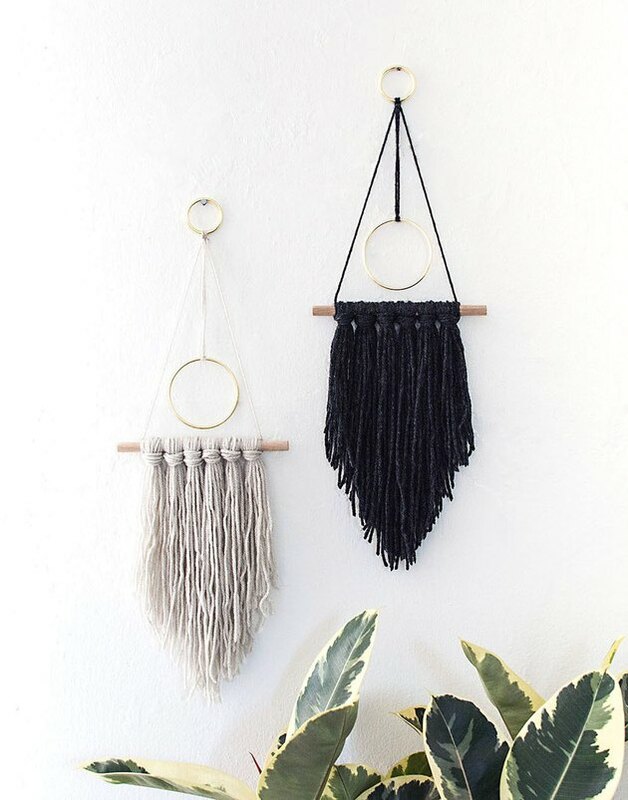 We know you've seen these stunning wall hangings all over Insta. But if you haven't found a style you love, try making your own. This minimalist design by Amy from the blog Homey Oh My incorporates gold metal rings which keep these wall hangings looking oh-so-modern. 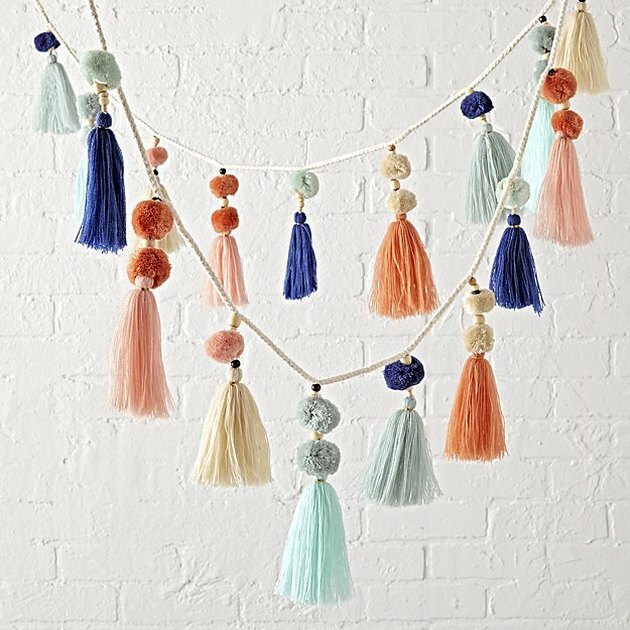 Add colorful bohemian charm to any room with these playful, yarn pom-pom strands. They are the perfect way to bring a bold pop of color into an otherwise neutral space. 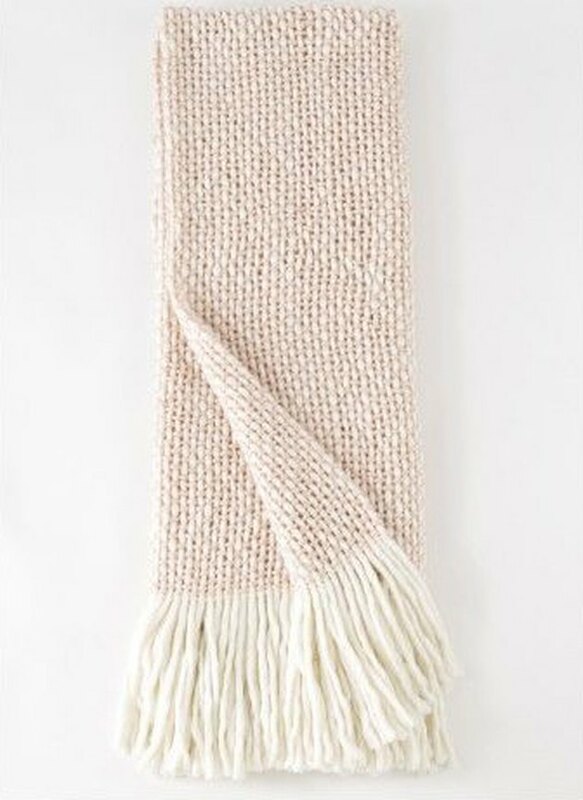 Nothing beats curling up on the sofa with a snuggly throw, and this knit wool option takes coziness to the next level. The only downside? You might find yourself falling asleep instead of catching up on episodes of The Handmaid's Tale. This cool pillow cover incorporates two of our faves: texture and pattern. 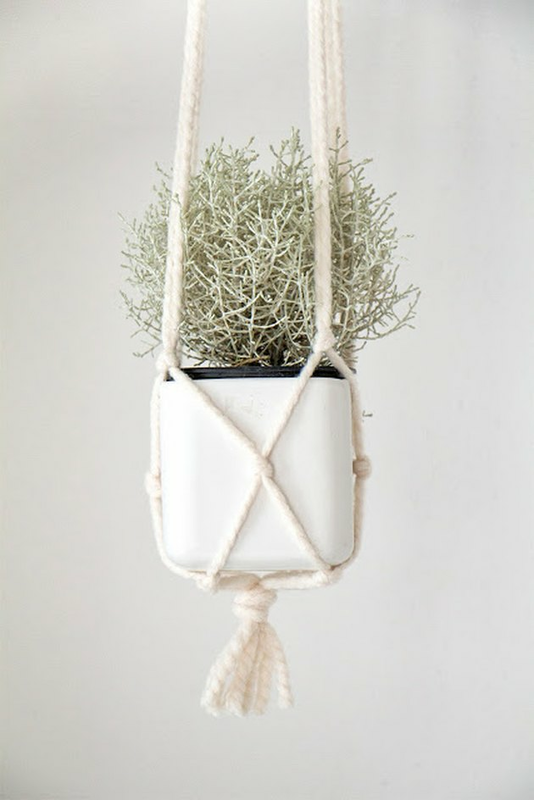 Not to mention it's a gorgeous and simple way to try out the yarn trend in your humble abode. Just try not to spend too much time running your fingers over the fuzzy patch of yarn and playful tassels. 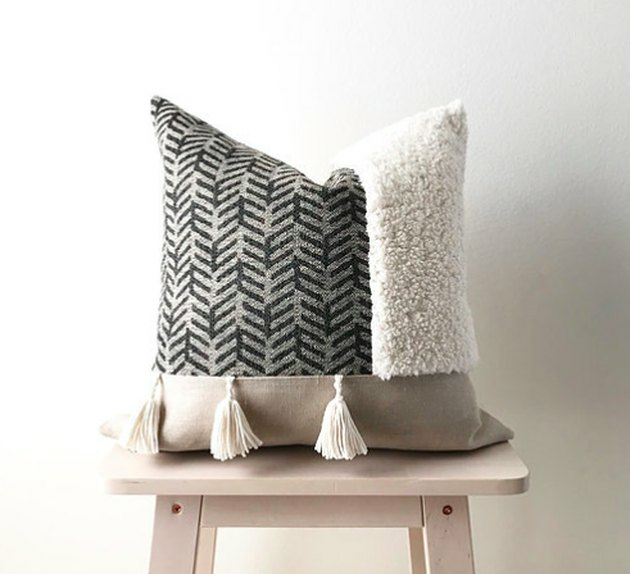 Whether you add it to your favorite lounge chair or throw it on your sofa, if you're up for the challenge, try to make a throw pillow instead. It's lovely way to add a layer of jaw-dropping texture to your living room. 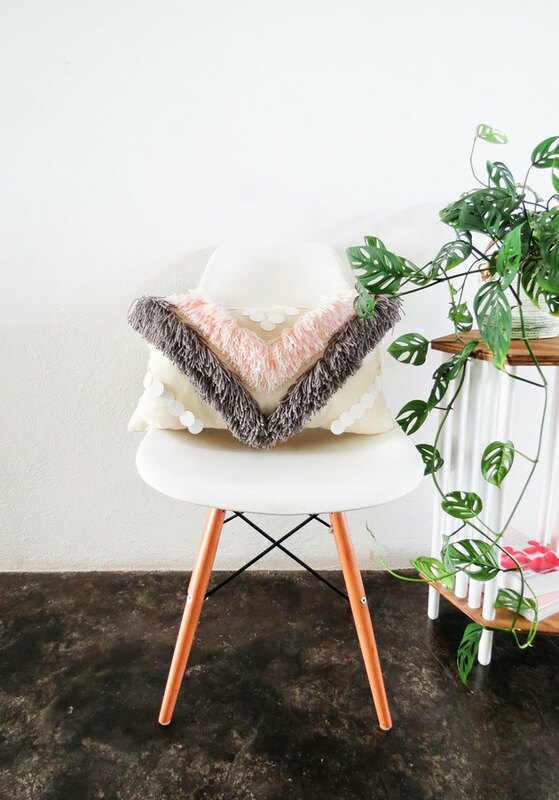 Learn how Amaryllis created this DIY yarn fringe cushion for the blog Sugar & Cloth here. 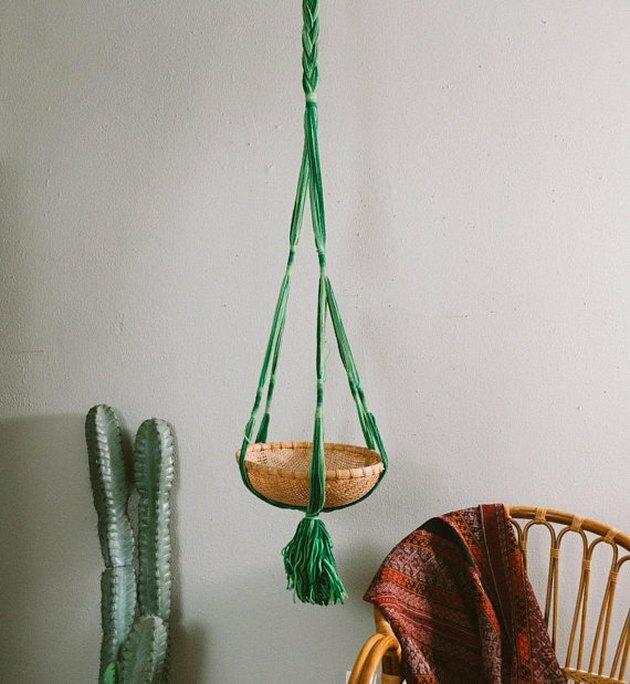 Everyone will be green with envy when they see your heartleaf philodendron sitting pretty in this vintage '70s macrame plant hanger. For a low-cost, totally doable way to jump on the yarn bandwagon, give your ceramic pots a facelift by wrapping them in layers of yarn. Learn how with this quick and easy DIY by Leanne from the blog Chi Chi Dee Handmade. Pom-poms, yarn tassels, and twine ... oh my! 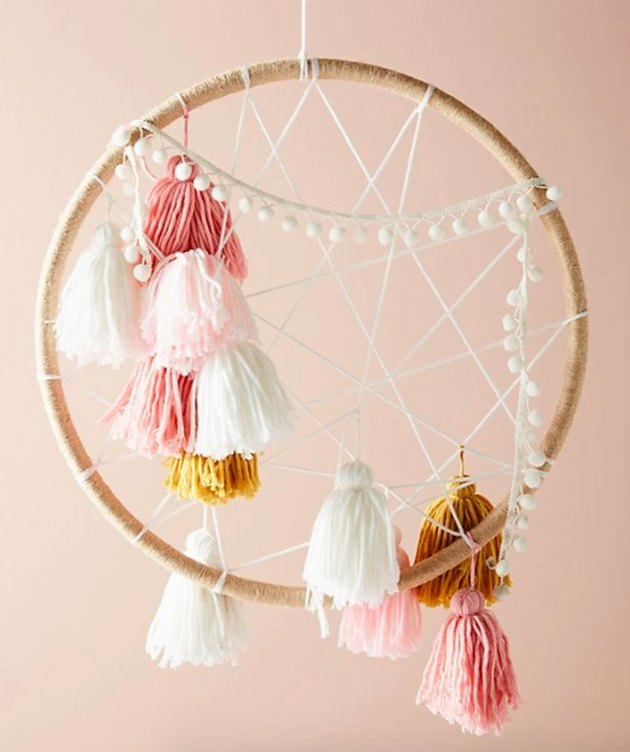 Ensure you have only the sweetest dreams by hanging this delightful dream catcher near your bed. 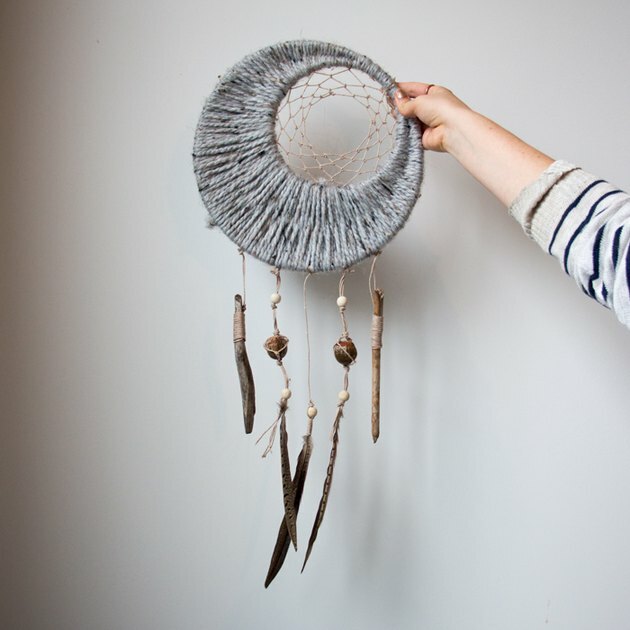 Bring the outdoors in with this unique DIY dream catcher by Maptote. 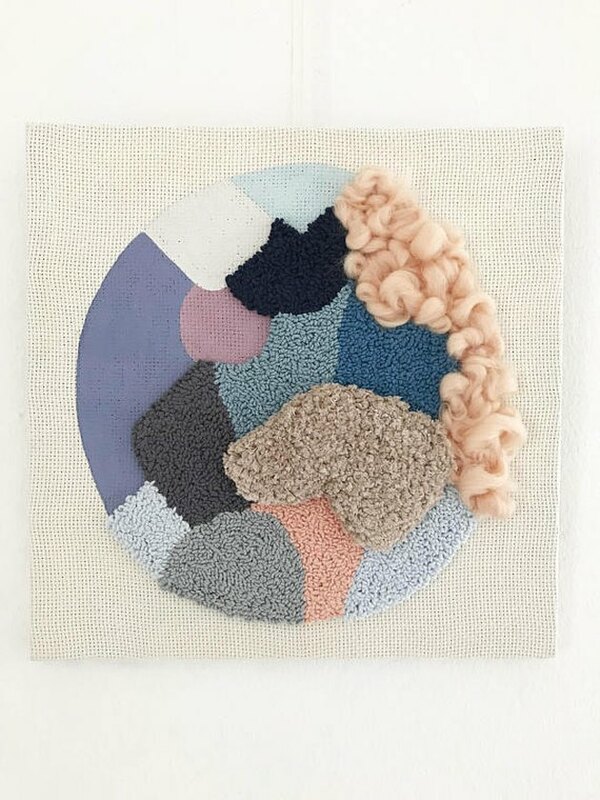 The combination of yarn and natural materials — from acorns, to feathers, to sticks — will give your space an organic, earthy quality that makes you feel calm and centered. 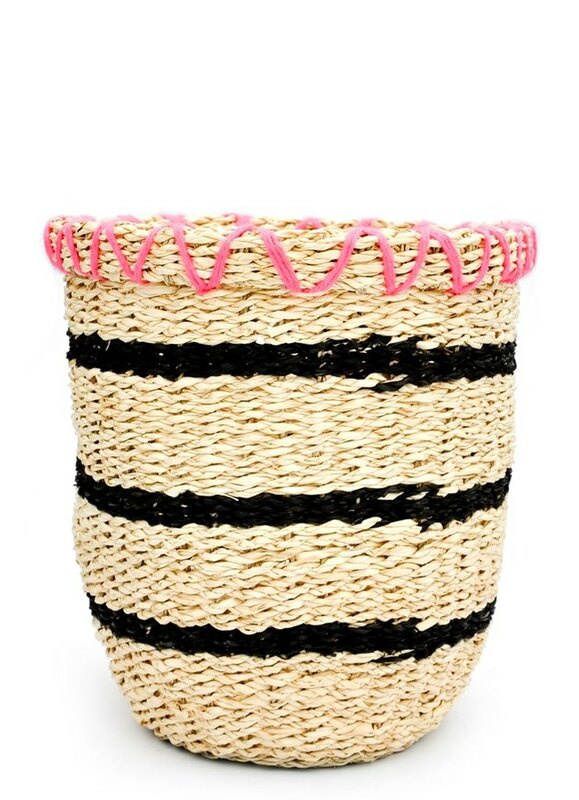 A simple seagrass basket gets a modern update thanks to hot pink yarn embroidered around the rim. Use it to store blankets, stash your umbrellas, or as a catch-all bin in your kid's playroom — the possibilities are endless. 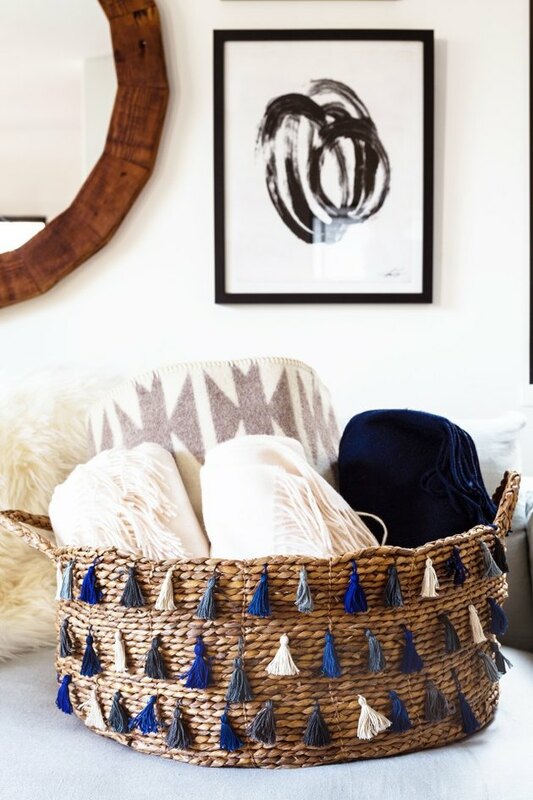 Or, if you already own a few woven storage baskets try out this cool, DIY tassel idea shared by Erica from the blog Honestly WTF to infuse a little color into your boudoir. 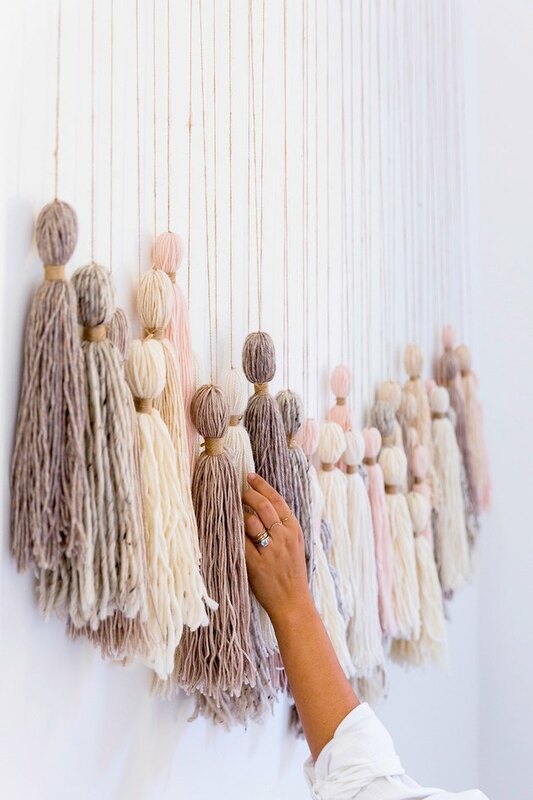 If you're hesitant to dive headfirst into the yarn trend, try dipping in your toes instead with some fuzzy wall art. Perhaps this modern, wool and yarn punch needle design in a subdued color palette will do the trick? If you can't get enough of yarn wall hangings, you're not alone. But fair warning: This round, triple-threat option is definitely going to encourage your love of fuzzy wall decor. Not only does it look stunning, but the frame is actually a Hula-Hoop. Yes, that beloved round toy from your childhood. And if that weren't enough, it also incorporates another crowd-pleasing trend: dip-dye. Learn how to make this bohemian piece of art here. 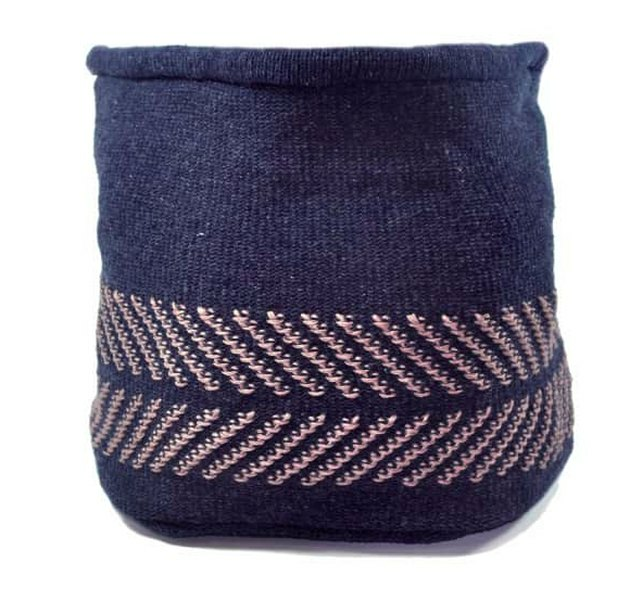 Handmade from upcycled yarn, you can feel good about this minimalist splurge, which also happens to be the perfect size to store all of your extra throw pillows. And bonus: It folds flat when not in use for easy storage.